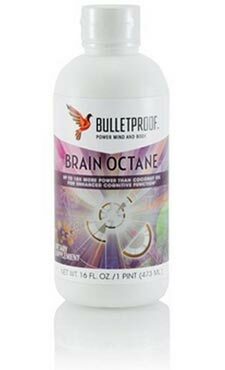 Brain Octane rapidly metabolizes into ketones, providing almost instant energy to the brain without requiring glucose from dietary sugars or carbohydrates. This makes it the top choice for reaching peak brain performance all day, especially during demanding tasks or during Bulletproof Intermittent Fasting. Brain Octane also has potent anti-microbial effects that help to support healthy digestion and immune function.